is an astronomy journalist and the author of several books about space, both non-fiction and fiction, including The Unknown Universe (2008). He writes the blog Across the Universe for the Guardian. To get computer models to look similar to the Universe around us, cosmologists have assumed that around 96 per cent of matter and energy are in forms that we cannot directly detect. You might think that this would make cosmologists wary of relying on such hypothetical substances. Yet for the majority working today, dark matter and dark energy are every bit as real as the stars and galaxies that we can see. Idola specus (idols of the cave): ‘Everyone… has a cave or den of his own, which refracts and discolours the light of nature,’ writes Bacon. These individual likes and dislikes cloud judgment. Idola fori (idols of the marketplace): in the exchange of ideas, Bacon writes, ‘the ill and unfit choice of words wonderfully obstructs the understanding’. Cosmology could well be falling foul of these idols. 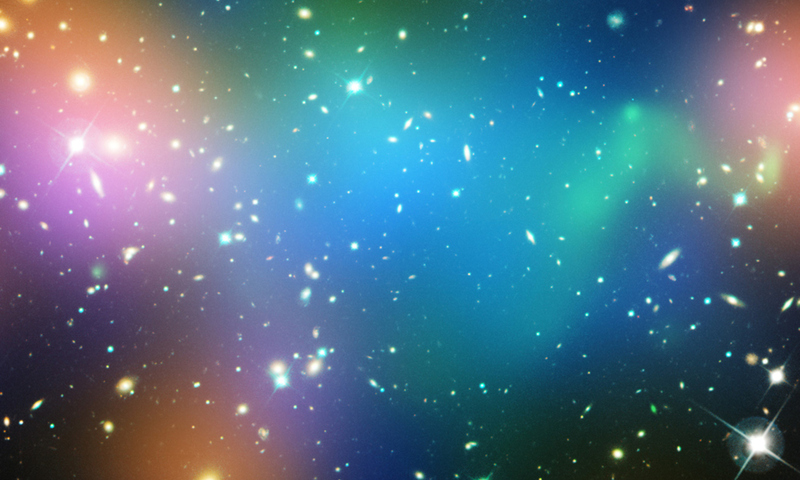 In the case of dark matter, the unquestioning belief is puzzling because the direct searches for these particles are coming up effectively empty‑handed. Yet observations are routinely interpreted as being the result of dark matter. No other avenues of approach are taken by the vast majority of researchers. In reality, there are other possible solutions that at least warrant examination and comparison. In certain circumstances they fit the observations better than dark matter can. They usually involve a different approach, which is to alter how the force of gravity works or to relax an assumption about the way we think the Universe works, rather than add new constituents to the Universe. An alternative to dark matter was offered in 1981, by the physicist Mordehai Milgrom of the Weizmann Institute of Science in Israel. He postulated that gravity pulls a little more strongly than Newton’s laws predict at extremely weak levels. A different approach to dark energy, which is thought to power an acceleration of the Universe, is to dismiss the assumption that matter is distributed evenly throughout space. Then the Universe will naturally change the rate at which it expands. Yet these ideas are generally sidelined in favour of the status quo. Why? Cosmology has become too conservative, too unwilling to step outside of the mainstream in the search for answers. While some might see this piece as an attack, it is simply the adoption of a position that I believe is truly scientific. One in which skepticism rules, and prevailing ideas are questioned. The true gold standard for science is constant self-questioning, constant re‑evaluation, and constant open-mindedness in the search for better explanations. Theories are never ‘true’, even if they fit all known facts. They are merely hypotheses that have been shown to be useful. And they could fall at any moment if new observations come to light that do not fit. The sobering fact is that either 96 per cent of the Universe is unknown to us or we are completely wrong about the way we think the Universe works. Either way, cosmology is far from finished: we have a lot to work out.